There are many ways to purchase our awesome fresh produce! Certificate Program: You can pay ahead for produce and receive a 10% discount. Contact us for more details. 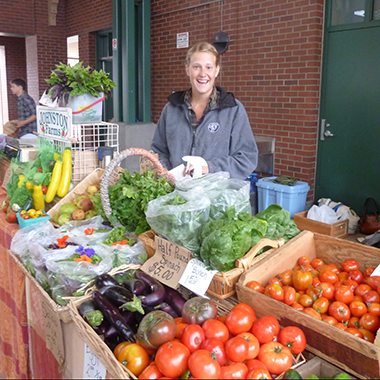 Port Angeles Farmers Market: Every Saturday, 10:00am-2:00pm, come to the Johnston Farm stand at the on the corner of Front and Lincoln Streets in downtown Port Angeles. Christie is there almost every week. You can get the best selection by signing up for our Certificate Program. Wholesale Purchase: We highly value our wholesale accounts! These local relationships are good for everybody! Receive via email a weekly Fresh Sheet, showing available produce and price list. Contact us to get on this list. We make deliveries twice a week to wholesale accounts in Port Angeles and Sequim, WA.